If you’re going on a mid-range trip, you can skip on cramped airports and long lines by chartering for a private McDonnell Douglas MD90. This large aircraft also has the capacity to load up on heavier cargo, thus you may opt to bring equipment that’s relevant for your trip. For instance if you’re attending a regional conference and you’ll be setting up shop, you won’t need to hire a separate freight service. Upon clearing the details with your operator, you can bring in your paraphernalia with you and within just a single flight. The McDonnell Douglas MD90 will also be ideal for leisurely travelers since it has upgraded interiors for passengers to enjoy. Among them include club laid out seats and pull out tables. These tables may be used for you to enjoy your snacks or meals, and it may also be transformed into a workstation. 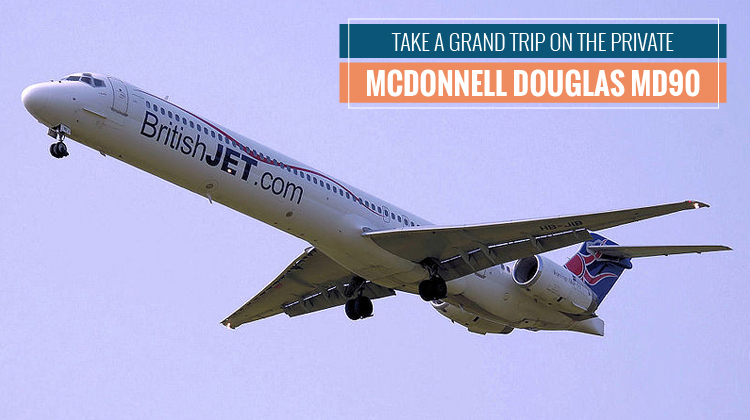 Know more about the McDonnell Douglas MD90’s specifications and charter for your private flight aboard the plane today. This aircraft has interiors which can accommodate for 172 passengers. Thus, one can just imagine the many features which may be placed in its cabin. It has an area which allows for food preparation. If you’d like to have a tasty snack or custom cooked meal, you may opt to bring your personal chef with you during the flight. Just have the plane’s cooking facilities confirmed to make sure all the small appliances and other materials you’ll need will be available. You may also opt to use the plane’s in-flight entertainment features for your relaxation. Or perhaps you may maximize its connectivity set up plus internet connection by reading through your emails to stay on top of your projects. You may even prepare your cloud based documents or implement businesses transactions while in flight. The McDonnell Douglas MD90 has a competitive speed when compared with other jets within the same and even smaller-sized categories. If you’re flying from Toronto, Canada, this plane lets you reach as far as Nunavut or Alaska, USA. You can even embark on a vacation at the Port of Spain, in Trinidad and Tobago within just a single flight on board this large aircraft. If you’ll happen to max out the flying range of this plane, it would be best to ask about its allowable load from your operator. This way, the amount of your freight plus passengers will be proportional to the distance of your intended location. Keep in mind, a lighter aircraft lets your reach farther destinations within faster paces. Manufactured by McDonnell Douglas and Boeing Commercial Airplanes, the McDonnell Douglas MD90 had its first flight in 1993. This aircraft has a total of 116 units being flown all over the world and about 14 commercial operators have this among their fleet. It also has about 4 variants which were adjusted to fit their corresponding applications. 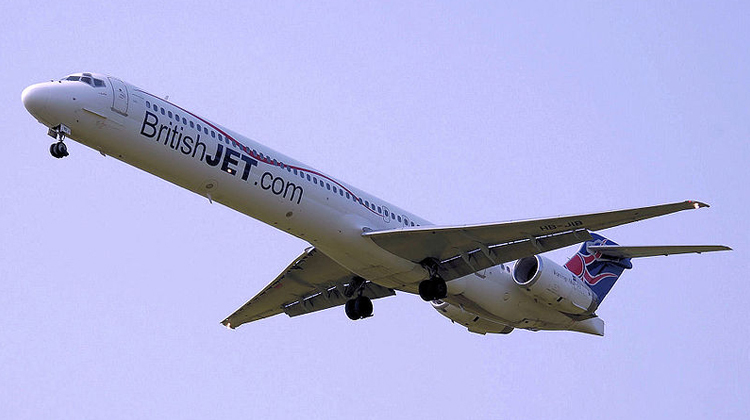 Additionally, this aircraft is being compared with Boeing 717, Tupolev Tu-154 and Airbus A320.